2 Carat White Genuine Topaz Earrings 2-Pack Only $7.99 + FREE Shipping (Reg. $99)! 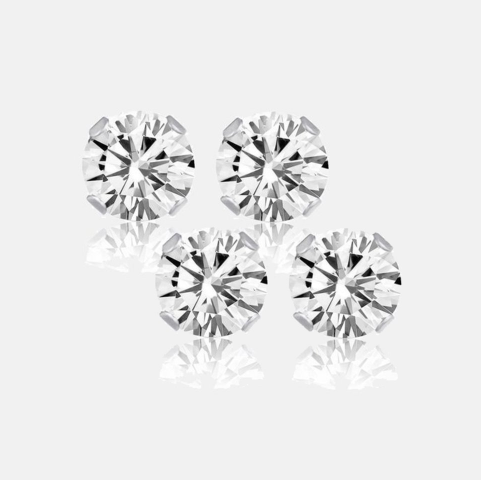 You are here: Home / Great Deals / 2 Carat White Genuine Topaz Earrings 2-Pack Only $7.99 + FREE Shipping (Reg. $99)! 2 Carat White Genuine Topaz Earrings 2-Pack Only $7.99 + FREE Shipping! Wow! These would make a lovely Valentine’s Day gift for a loved one or friend or even daughter! Grab this 2 Carat White Genuine Topaz Earrings 2-Pack for only $7.99 + FREE Shipping right now (reg. $99)!! You can give a pair and keep a pair!